Mr Sánchez's choice was in marked contrast to the male-dominated executives of ex-PM Mariano Rajoy, who was ousted last week. 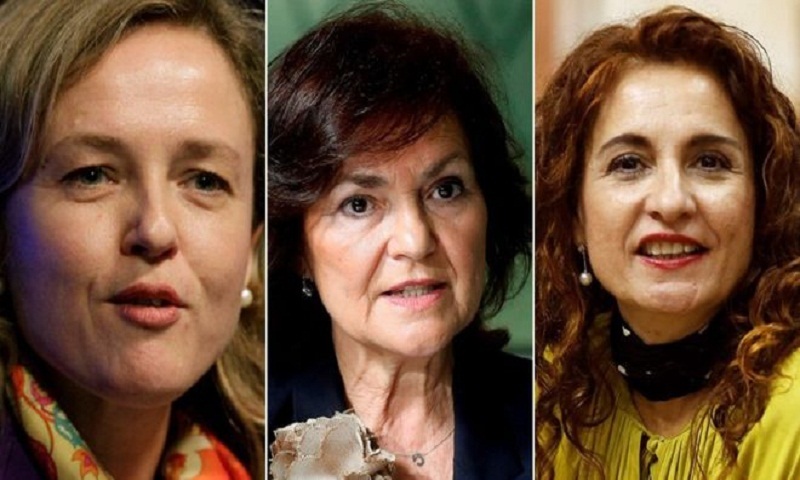 He spoke of Europe as "our new homeland" and said he saw his cabinet as a faithful reflection of a change in Spain that had emerged on 8 March through a feminist movement. An estimated five million women across the country staged a "feminist strike" on that day against wage inequality and gender violence.